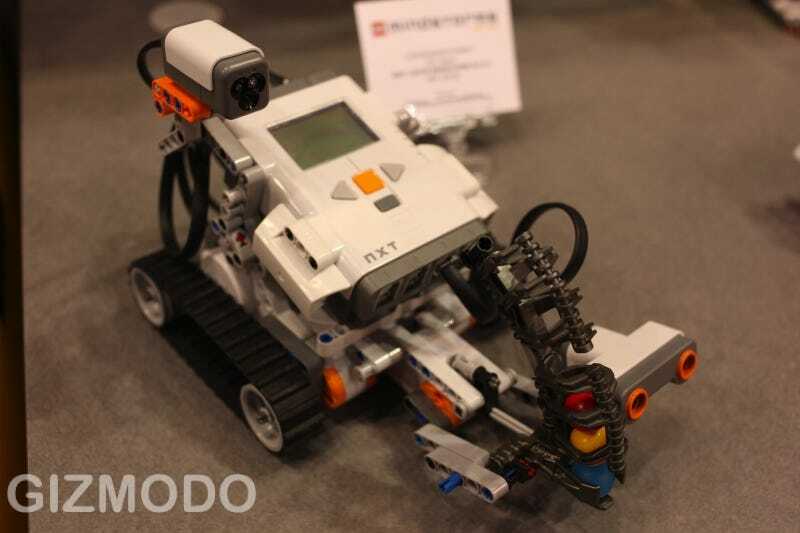 We got a look at the new Mindstorms NXT robotics kits from Lego. And a new sensor for the 2.0 version can, amazingly, detect the difference between colors. Cool. Robotics nuts can do amazing things with the NXT 'bots, so I'm excited to see what kind of projects evolve from the new kits' color-sensing eyes. Also new in 2.0 is the ability to load images and sounds into your robots memory, for displaying on the LCD screen or, more importantly, allowing it to speak with the sound sample of your choice.